Date of publication: November 20 2016 . Our today's remake will be devoted to a very convenient device for the home, with the help of which you can not only iron clothes, but also do it, minimally using space of your home. it ironing boardWhich will be mounted on the wall, a kind of hanging version of the ironing board. Likewise, it is possible to make built-in wardrobe. 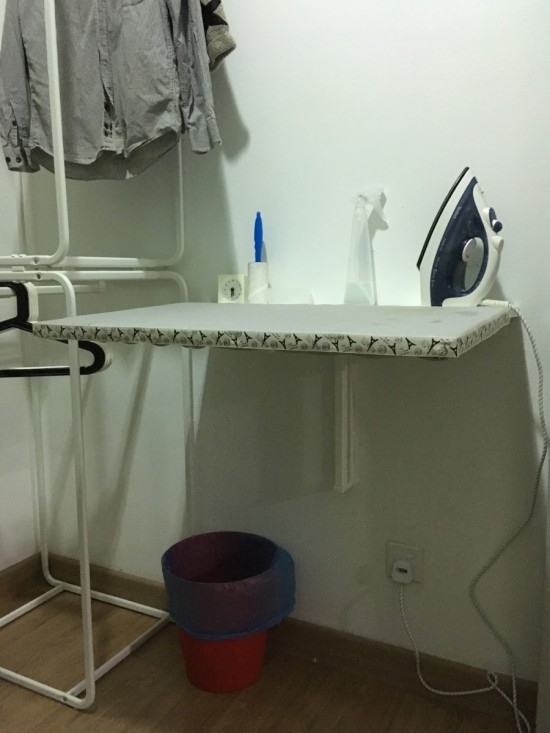 In general, we believe that such homemade ironing board It will be enjoyed not only the owners of a cozy small-sized housing, but also the owners of large houses, which are puzzled how to ergonomically equip your laundry. To start collect NORBERG table and attach it to the pre-planned place in the house. Then cut out of the mat for ironing otrez size countertops plus 5 cm. 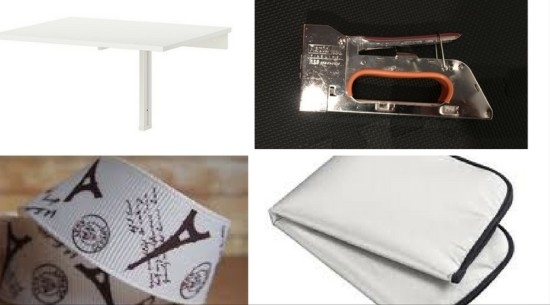 Attach the edge of the mat to the table top using the furniture stapler, well pulling the material to the surface, to avoid wrinkles and other irregularities. Subsequently, it will make the ironing process is not only more convenient but also allows to iron clothes and linen more efficiently. 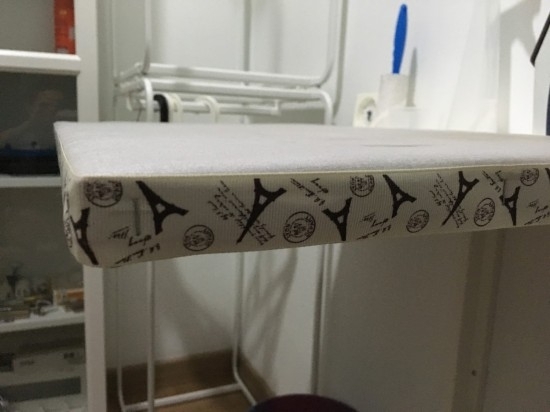 The edge of our ironing board made of folding table NORBERG, Shall cover surpluses already attached to the surface of the mat and adorned with lace, which is also secure with a stapler. Well, it remains only to test our gear. Feel free to take into the hands of the iron and try ironing boardmanufactured their own hands, In action.